In Indian Hindu societies, members of the community regularly observe rites for renewing their connection with virtue. The days of the new and full moons are regarded as holy and set aside for purification of non-virtue and re-establishment of virtue. Those days, and the purification rites performed on those days, are called upavasatha. Upavasatha, a Vedic Sanskrit word, literally means “to stay; wait; abide in a state of abstinence; to abstain from food.” In pre-Buddhist times, upavasatha was a day of fasting and, in particular, a day on which one prepared oneself spiritually for the main rite of soma on the next day. When the Buddha was setting up the framework of Buddhist practice he took many of the traditions which were in effect at the time, and which he saw to have a useful basis, and turned them into Buddhist rites. One of those was the tradition of upavasatha. The Buddhist practice which grew out of upavasatha is known as uposatha in the Pali tradition and poṣhadha in Buddhist Sanskrit. For Buddhists, the essence of poṣhadha is twofold: virtue is revived and whatever non-virtue has been created is purified. When “poṣhadha”, was translated into Tibetan, the translators put together two words to indicate those two meanings. The Tibetan word for poṣhadha is sojong where so means “revived” and jong means “purified”. When Tibetans comment on the meaning of sojong, they explain it with the phrase “gewa so dikpa jong”: which means “virtue is revived, evil deeds are purified”. The Buddha said that, in his absence, the Prātimokṣhasūtra was the real teacher and guide for the monastic saṅgha. So, as a way for the monastics to reconnect with the dharma on a regular basis, he instituted a rite in which the bhikṣhus and bhikṣhuṇīs would assemble and read the whole Pratimokṣhasūtra twice a month. However, the Buddha said that one had to be pure before doing this, so he established some preliminary rites in which the monastic saṅgha could purify any violations of their Pratimokṣha vows. Poṣhadha refers to any of these different rites, each with a different emphasis, but all of them connected with the themes of reviving virtue and purifying wrongdoings. Poṣhadha is one of the three main sets of rites which the Buddha required the monastic saṅgha to do. It is worth noting that there are three levels of Buddhist vows and each level is approached and maintained in a different manner. The hīnayāna [or shrāvakayāna] level itself contains eight major categories of vows, and each of these is also broken and repaired in a particular manner. The laws regarding each category are contained in the vinaya-piṭaka. According to those laws, when the vows of householder (the upāsaka-saṃvara) are broken they can be repaired at any time; after the appropriate amending is done the vows are whole again. However, the monastic vows of shrāmaṇera and above have greater requirements for their maintenance, and the vinaya sets out a whole series of rites for the proper repair of the various levels of ordination. Many of these rites are part of the poṣhadha rites performed prior to the reading of the Pratimokṣhasūtra, but there are other rites to meet with the requirements of various situations; for example, in the case of shrāmaṇeras there is a poṣhadha rite to be done as soon as a vow is broken. In order to make the Buddha’s commands for the monastic saṅgha readily accessible, various teachers compiled the necessary parts of the vinayapiṭaka into liturgies. 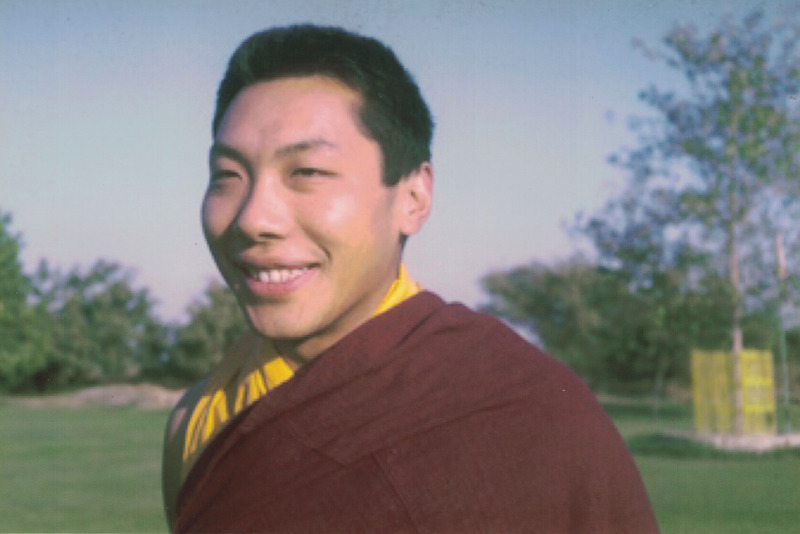 The liturgy chosen by Khenchen Thrangu Rinpoche for the performance of the rites of poṣhadha at Gampo Abbey was written by the fourteenth Karmapa. It is a “condensed text” because it includes the material necessary for the practice but with very little explanation. The text is simply called The Rites of Poṣhadha. There are poṣhadha rites which can be done daily and some which must be done as needed, but the rite of poṣhadha which is done on the days of the full and new moons is very special for the monastic saṅgha.